Will Matt Phillips sign for a Premier League club this summer? Blackpool winger Matt Phillips could be set to leave the club in the next few weeks with a number of clubs looking to sign him. The 21 year old had a fantastic season last year both at Blackpool and during a loan spell with Sheffield United early in the season where he scored five goals in just six games. But, it was his performances in the Championship that are making him one of the hottest properties in the division. There is no doubt that manager Ian Holloway will want to keep him but he is a very good manager and if he thinks a player deserves a move then he will let them go at the right price. However, another year in the Championship wouldn’t do Phillips any harm and under the guidance of Holloway he could become an even better player. Six teams are heavily linked with him and they are Wigan Athletic, Reading, Sunderland, Everton, Aston Villa and Stoke City and he could do a very good job for all of this teams. But which team would he have the most success at? I think Aston Villa could be a good move for him as they are largely underachieved last year and didn’t play to their full potential and with them likely to play 4-3-3 again next season he would easily fit into their team. A front three of Agbonlahor, Bent and Phillips would be frightening to any team as they have the pace to punish teams on the counter and would link up brilliantly. New manager Paul Lambert also likes to take young players from the Championship and give them a chance in the Premier League and most of his players at Norwich City succeeded and he has to be given a lot of praise for this. If he is allowed to leave Blackpool then he will also have to take a look at Stoke City because they are now an experienced Premier League side and they will help him become a better player and maybe push onto the next level as he will learn a different way to play. Obviously, Stoke still have Jermaine Pennant but he didn’t seem too happy last year and could be moved on if they get in a replacement. Sometimes people are harsh on the way Stoke play but if you watch them properly they do try and get the ball wide and cross the ball which Phillips will enjoy. Finally, out of the teams linked with him Everton are probably the best team and have the best manager in David Moyes so this will help his career and a lot of players have progressed from Everton and been sold on for a lot of money. Plus, they are always up there challenging for a place in Europe when it comes towards the end of the season so this will obviously interest Phillips. If they bring in Steven Pienaar it may be difficult for him to get in the side as Moyes likes to play Leon Osman on the wing a lot of the time and with Ross Barkley set to feature more this season he may not be guaranteed a start every week and this may put him off. Why Grant Holt handed in a transfer request? 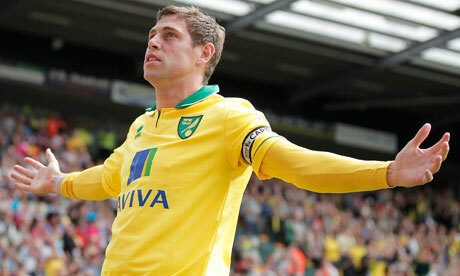 Grant Holt has had a transfer reject request at Norwich City rejected and it is unclear why he wants to move on. Holt has had a terrific first season in the Premier League and finished with 15 league goals from his 36 games and was linked with a call up to the England squad for Euro 2012. So, I am going to look at the reasons why he potentially wants to leave the club. The first thing that sprang into my mind when I heard the news was, is he doing this because manager Paul Lambert is leaving? Lambert has been linked with numerous clubs since the end of the season including Aston Villa and Liverpool. If Lambert leaves maybe the new manager will want to play a different style of football and won’t need Holt anymore. This may have been his way of thinking and after all of his hard work to get to the Premier League he will not want it taken away from him by a new manager and by handing in a transfer request teams will look at how well he has done this season and take a chance on him. So, basically this argument is that he wants his Premier League career secure and as he has found out in the past, new managers don’t always like a strong physical striker. Obviously, this may be completely wrong because Lambert hasn’t left and doesn’t look like leaving at the minute, although in football things can change quickly. The second reason he may want to leave is because he didn’t get called up to the England squad and maybe he feels it’s because he plays for Norwich however some people will point to the fact that John Ruddy was called up. I believe goalkeepers are a lot different to outfield players and there isn’t a lot of options especially when you consider Paul Robinson and Ben Foster do not want to be called up. 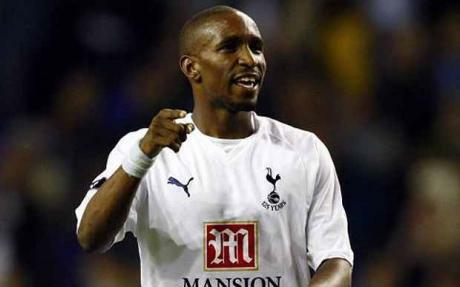 He may feel that if he had scored 15 goals for a team like Everton or Fulham he may have had more of a chance. But then again this argument is flawed because Darren Bent has continually scored goals for a number of clubs including Tottenham Hotspur and has still been overlooked by England managers when he has been the top English goal scorer. It is obvious looking at the England squad they do look at the best teams but if Holt did move to a team like Everton, he still wouldn’t get a call up even though I personally think he should have went to the Euros. Finally it may simply just be because he wants a new contract and a lot of players do this sort of thing to make the chairmen and the board hurry up to get round to their contract situation rather than focusing on other things. Now I don’t think Grant Holt has a big ego and is doing it because he thinks he is bigger than the club, irreplaceable and will give into his demands, I think he is simply doing it to get his future sorted as he does have young children and would like to know where he will be in a few years. Every time he has spoke about Norwich it has always been positively so I cannot see him getting annoyed by the fact they rejected his request unless they don’t get round to sorting out his contract in time. Who will be the next Aston Villa manager? 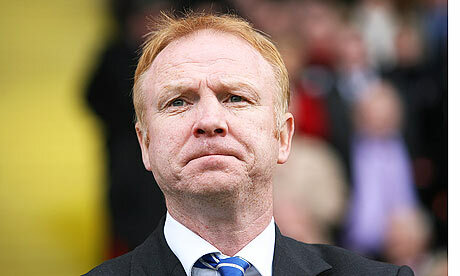 Aston Villa have had a disappointing season to say the least and Alex McLeish has took the blame for it. McLeish and Villa were never going to work out anyway in my opinion, the fans didn’t want him and he plays negative football which is why the club failed to win more games than they did and were sucked into a relegation battle. This time Randy Lerner has to make a good choice or Villa’s place in the Premier League is seriously under threat, since Martin O’Neill left the club it has been in decline. In McLeish’s defence he had to deal with a lot of injuries to key players, in particular Darren Bent but still more was expected of the side and at least a challenge for the top 10 would have been nice for the fans. So who is going to be the next manager? The current favourite is Paul Lambert of Norwich City as he has had a fantastic season with them and has proved that you don’t need big names to be successful in the Premier League. He has got a lot of players that are quite young and have the potential to grow which is exactly what Villa need right now, with a lot of impressive youngsters coming through like Marc Albrighton and Barry Bannan. Lambert has a very impressive record winning 42.46% of his 325 games as a manager and will add vibrancy and reinvigorate the club which is exactly what chief executive Paul Faulkner has said they are looking for. Norwich won’t let him go easily and maybe he will see it as a step sideways and decide against the move. Mick McCarthy, the former Wolves manager is also linked with the job and this surprised me slightly as he was sacked as manager of Wolves and has never done anything better in the Premier League than battle relegation. I would expect more ambition from a club like Villa but maybe they are thinking that McCarthy did a good job on the whole with Wolves and with better players at his disposal he will be able to lead the team into the top half. He is unemployed and knows that the Premier League so he could be a good choice however I can see the fans reacting just as negatively to this as they did with McLeish. Finally, yet again Roberto Martinez is linked with the role and he wanted to stay at Wigan Athletic last summer but maybe things have changed and he will be more interested now. If they can drag him away from Wigan then they will have a fantastic manager who likes his teams to play a passing game and is also someone that doesn’t mind trying new things out. His formation of 3-4-3 has worked magnificently towards the end of the season and even the best teams in the league have been unable to deal with it. But Martinez will be thinking if I have one bad season they might sack me. So I think he will stay at Wigan but if Villa give him the chance, they need to make sure they stick by him. If I was the chairman, I would do everything I could to get Martinez in charge of my team as he has kept Wigan up for a number of years now and he has stuck to his own game plan for the most of it. The players will enjoy the freedom and creativity he will give them and they will prosper under him and maybe challenge for Europe once again. Will Aston Villa get relegated from the Premier League? Aston Villa may be getting dragged into a relegation battle this season with some of their star players underperforming and now the news that Darren Bent will be out for three months has made the possibility of relegation a lot more likely. They are not a one man team but who will score the amount of goals Bent does, Gabriel Agbonlahor for all his pace and directness does not quite have the ability to reach the same levels as Bent. However, I have been impressed with him this season but five goals isn’t exactly prolific. Saying that though he has hit double figures in three seasons so far in his career with his best being 13 goals, he will need to get somewhere near this target this season if Villa are going to stay up. Emile Heskey has never been prolific in his career and does not seem to be favoured by Alex McLeish anyway so he may be overlooked. Whenever I have seen him play this season he has been on the left wing which he has done a few times over the years but you cannot get the best out of him from that position. Everyone always says that Heskey makes his strike partner look better and score more goals and maybe he will be able to help Agbonlahor grab the goals as well as him chipping in with a few himself. With Robbie Keane’s loan spell ending, this injury could not have came at a worse time and they will no option but bring Nathan Delfouneso back to the club and push him straight into the first team. He is only a young player but he has certainly showed some promise when he has came off the bench in the last few years and maybe now is his time to step up and show everyone that he is a Premier League quality striker. If he can also grab a few goals between now and the end of the season he could be a hero to the Villa fans as they are in need of one at the moment. The midfield will have to step it up also as they can get goals but have struggled to so far this season. Charles N’Zogbia can score goals from out wide and has done so on many occasions for former clubs Wigan Athletic and Newcastle United. He only has one goal so far for the club and this is quite remarkable as he hit 10 goals in all competitions last season in arguably a weaker side. Marc Albrighton on the other side should be adding more goals to his game as he is a very good player and likes to get himself into attacking positions but in his defence he hasn’t always been first choice. I believe though that this injury could be a blessing in disguise for Stephen Ireland as he really needs to get his career back on track, he has struggled for years and maybe now with the pressure on, he may get back to the form he showed at Manchester City when he was one of the best attacking midfielders in the Premier League and. I do not believe Villa will go down but the Premier League does throw up a few surprises and with the fans still not taking to McLeish very well, it all adds up to a very difficult end to the season. Maybe it is down to the manager that they are struggling because at times he can be far too negative and doesn’t allow his players to express themselves and this could be part of the reason why there flair players from last year, like Ashley Young and Stewart Downing left. It could also be why players like N’Zogbia have underperformed. Who should be the next Wolves manager? Wolves have sacked Mick McCarthy after a humiliating 5-1 defeat against local rivals West Brom leaving the team in the bottom three. At one point this season they were actually top of the table, however this was very early on in the season and they have struggled since. McCarthy had a 38% win record while in charge at Molineux which is quite good seen as though they battled against relegation but on the other hand they did have a promotion season too so if you take that out it will be a lot lower. I don’t think he did a terrible job as he was the first manager in 30 years to keep the club in the top division for successive seasons. Maybe it was time for a change though as they haven’t progressed at all and probably would have went down if he stayed in charge because they were on a downward spiral. Let’s have a look at the options who could replace him. Some people have mentioned former player Paul Ince to take charge while others have been putting former manager Dave Jones forward for the job but I don’t think these will keep the team in the Premier League so I will focus on other options. First up, who I think would do a good job is Alan Curbishley because he has a proven track record of keeping teams in the Premier League that aren’t fancied at all. He can galvanise a whole club like he did at Charlton and he also brings in useful players and gets the best out of them. He helped Darren Bent kick start his career and now he is always up near the top of the goal scoring chart and with Steven Fletcher on form at the minute he could help him a lot and give him the confidence to be an even better player. The only reason why I think he might not get the job is the fact he has been out the game since resigning as West Ham manager because the board were selling players behind his back. This was in 2008 and the game has moved on since then and he may be out of touch. Another option could be Steve Bruce who is currently unemployed after getting sacked as Sunderland manager earlier in the season. He has managed teams in Wolves position before when he was the manager of Birmingham City and Wigan Athletic and was quite successful at Wigan. He brought in some good players at Wigan and also made players play to the best of their abilities with Emile Heskey playing well enough to earn an England recall and receive praise from pundits and fans alike. 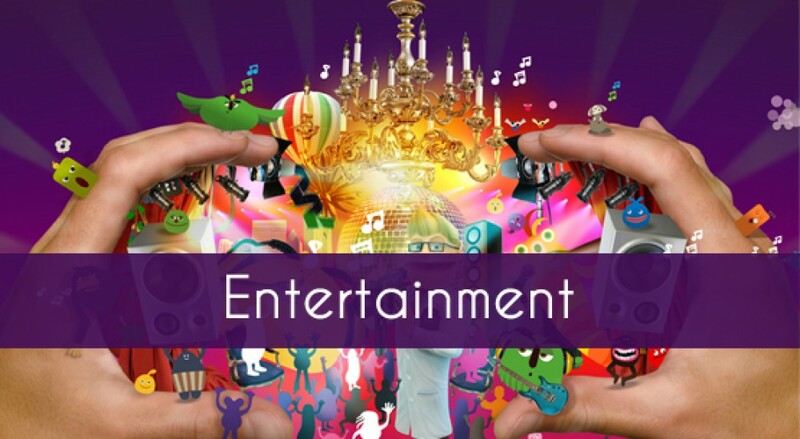 But his spell with Sunderland was quite unsuccessful as he spent quite a bit of money and for one reason or another they did not perform. Finally, I would like to throw Ian Holloway’s name into the ring because I believe he deserves another chance in the Premier League and there is no doubt that he will bring attacking football to Molineux if he was given the chance. 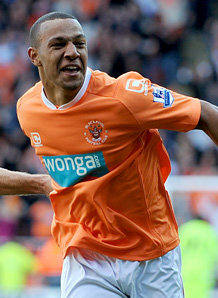 But the big question is, would he leave Blackpool? I wouldn’t have thought so but if the offer comes along he may be tempted to take the job. I would like to see Holloway get it but realistically I think Curbishley would be the best option and would do a good job for them. Even if he didn’t keep them up, I believe that with him in charge they would have a good chance of bouncing straight back.